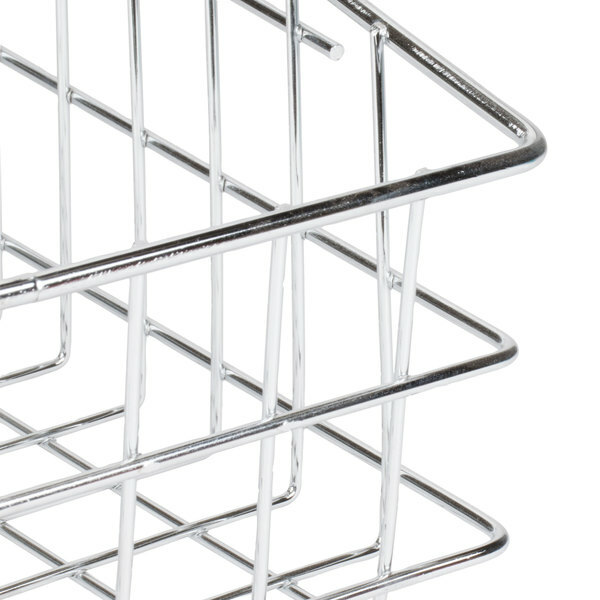 This Choice 11" x 18 1/2" chrome wire slant top basket will allow you to clearly display, store, and transport a variety of goods! 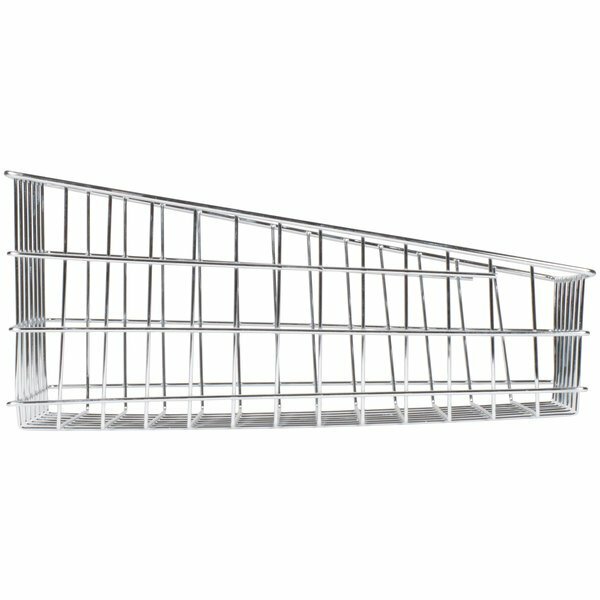 This slant top wire basket is perfect for holding fresh baked bagels, pastries, or rolls, at your bakery, deli, or cafe. Keep your establishment neat and orderly by using it to store menus or magazines. Take it to the farmer's market to display your locally grown produce. 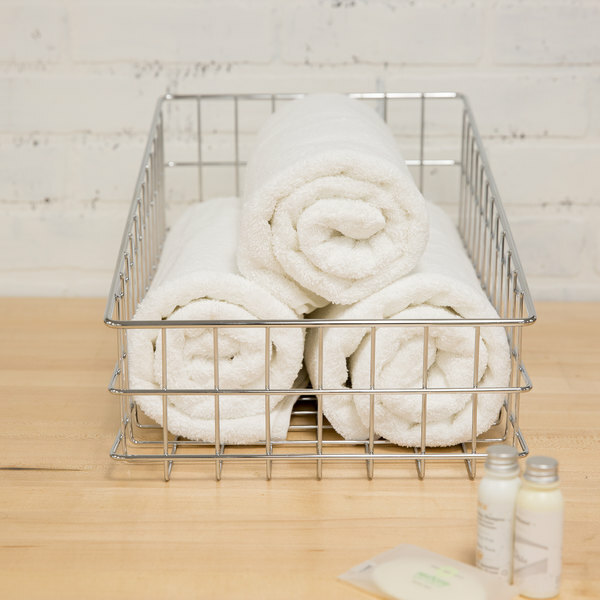 You can even place this basket in your restroom and fill it with fresh, clean hand towels for your customers. With a variety of uses, this basket provides an organized storage method and the open wire design clearly shows off its contents. "I use these exclusively in my bagel shop. They're sized so they fit perfectly across a standard 4' metal shelf, and they load quickly. Easy to clean as well." 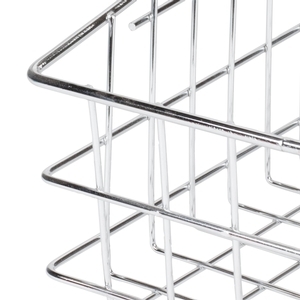 This basket features a heavy-duty, nickel chrome wire construction, which enables it to stand up to years of heavy use. Its sturdy design even makes it perfect for transporting product. 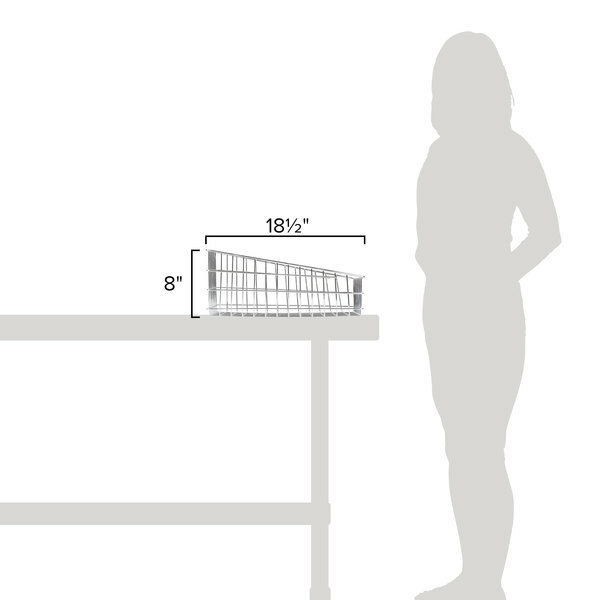 Built with a slanted top, the basket is great for merchandising bagels and other baked goods. It also makes the product easy to load and retrieve. 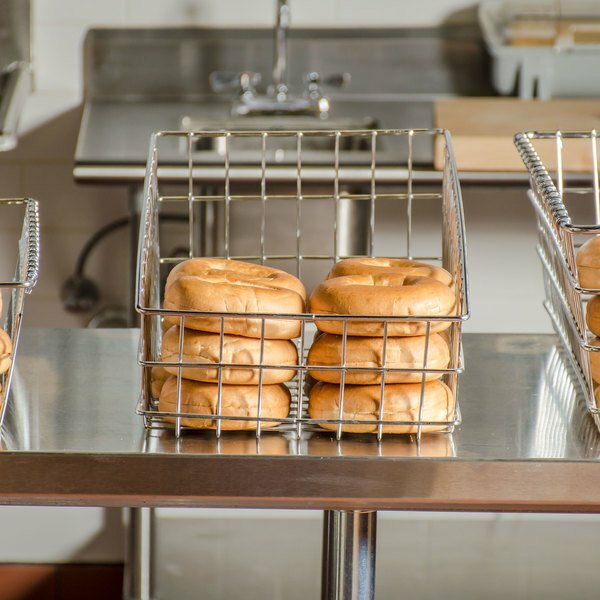 Whether you're storing bagels on back-of-house shelving, carrying muffins to the front-of-house, or displaying doughnuts at the counter, this basket provides excellent versatility to suit your ever-evolving needs. These are great baskets. We use them to display and sell our bags of kettle corn. The only issue I have with them is they're a little bit on the shorter side. These are great display baskets. We display muffins, breads and sweet rolls in ours. They run right through the dish machine and come out perfect. They look clean and sharp when on display!! 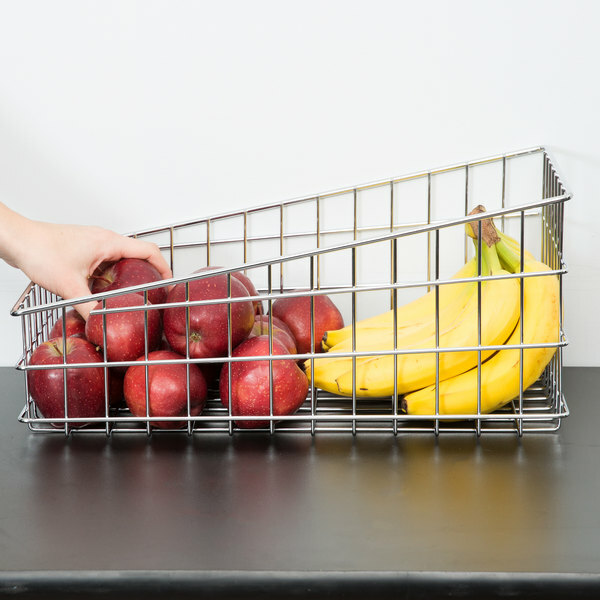 The Choice wire basket is the perfect size and are great for displaying our muffins and bagels. A great quality and very easy to clean. Great for storing bagels in when having a breakfast spread out for guests. Other than that what can I say it's a wire rack. Holds a good dozen bagels and seems sturdy. While these baskets are great for bagels, rolls, and breads, I think they're also perfect for organizing mini bowls. The basket's high sides makes the bowls easy to corral and stack. Larger than expected but will work great to hold bags and paper for my customers to use when bagging their own donuts. Great price and great quality. I use these exclusively in my bagel shop. They're sized so they fit perfectly across a standard 4' metal shelf, and they load quickly. Easy to clean as well. This is a great item for much more than just a bake shop. Great to hold extra side towels or gloves for easy access. Nice for use in a garage too. I absolutely love these wire baskets. I use them mounted to a wall to display my bread products. They have held up very well and look great. Great price. 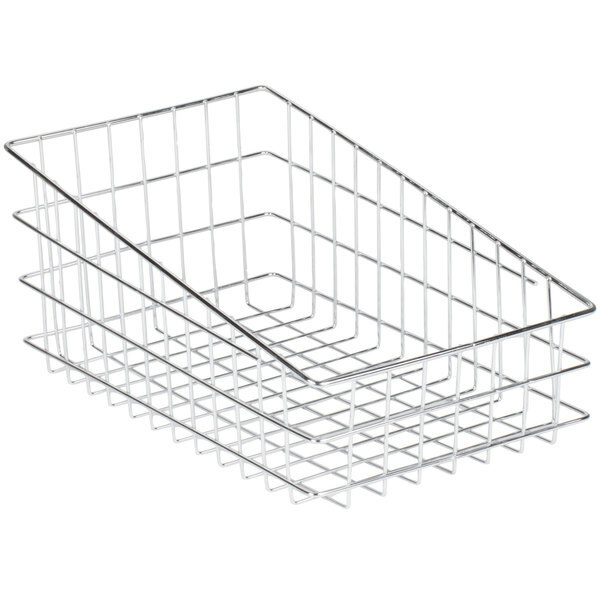 This wire basket is made out of the same high quality steel that the flat topped basket is made out of. The advantage to this is that the slant adds more space for product verses a flat topped basket. These baskets hold a lot and are very attractive. We have a case that holds 15 baskets and these are very clean looking and make the presentation of the bagel more about the bagel. Love them!